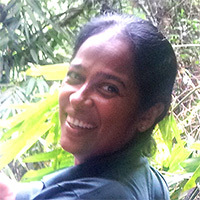 JCJ president Kanchana Weerakoon will be back in Melbourne from 6th to 30th April, for the first time since 2016. She’s keen to talk with groups about two topics. First, the seven Youth Journeys run so far as a great model for action on climate/peace/justice. Second, her experiences with urban small-scale gardening. Public meetings will be announced soon. Want to book some of Kanchana’s time with your group? Send us a message on the Contact page.